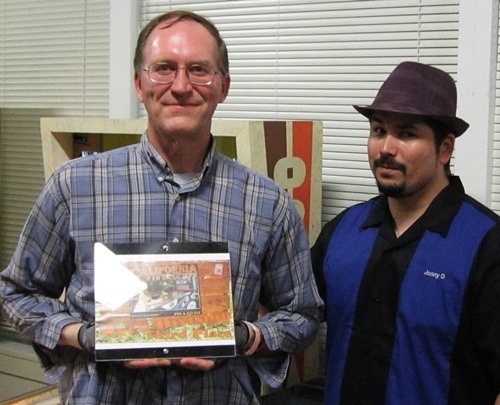 The Pin a Go Go 2012 tournament sold out fast and was a big success. Over-sold-out, in fact, and we rolled right over our cap of 64 players with 70 before we could put the brakes on more entrants. Though last-registration was scheduled for 2 PM, we hit max occupancy before our noon start. “We’re going to need a bigger boat”, I said, as I looked down the line 30-deep to register. We also got 14 kids in this year’s event. Needless to say, yours truly was running around like a mad man to cover the bases, but that’s the nature of the game, and since we made a few bucks for the Boys and Girls Clubs and Dixon Teen Center, it was worth it. Above: The top 8 semi-finalists in the Novice Division. Just like last year, we had a majority of first-time players, and a few of those never-befores surprised themselves by making the top ranks. Above: The top 8 Open semi-finalists. Somehow this photo came out looking like a suspect line-up. The games that Pin a Go Go supplied us with were nothing short of phenomenal. The star of the tournament was undoubtedly ACDC: Back in Black Edition, so new out of the box that when we lifted the playfield, a long-time tech said, “Smell that? New pin smell. Nothing else smells like that,” which reminded me of a certain movie scene. 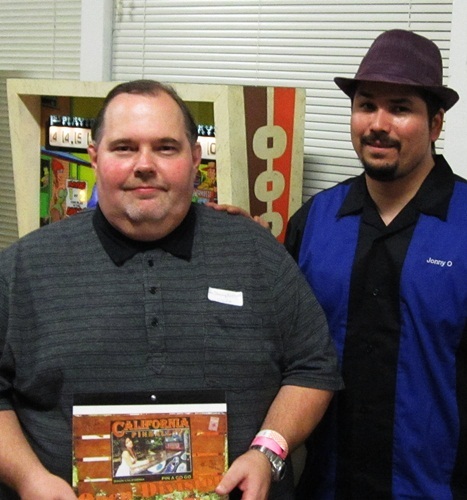 Above: Chris Deleon, Bay Area Pinball Association Player, took the Novice crown and World Poker Tour translite, donated by STERN. Also in the top mix was a TRON LE with external sub-woofer, overhead speakers and all the mods. Then there was a custom-cabinet painted Harlem Globetrotters that looked and played brand new, with some not-overpowering LED touches. We also had a mod’ed Attack from Mars. The jet fighter mods distracted some, but they sure loved everything else, especially the play. Flawless. A perfect-playing Pirates of the Caribbean rounded out the top-notch games. Honestly, it’s the best tournament line-up I’ve ever been given and the players loved it. Huge thanks to the PAGG folks for putting such a stellar line-up together. 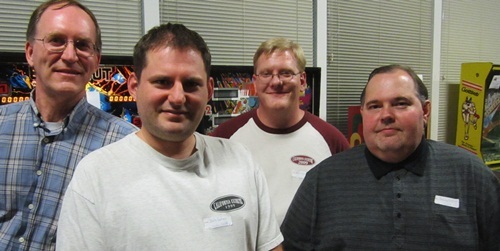 The final 4 in the Open Division: Bob Matthews, Josh Lehan, Josh Warner and Danny Rockholt. 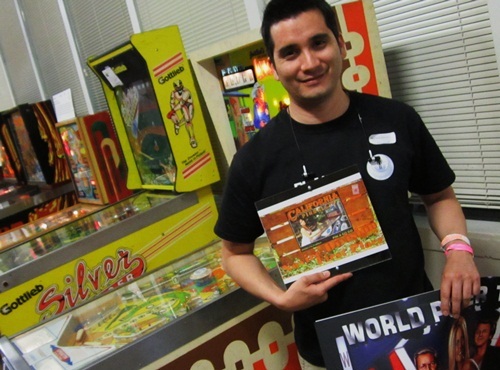 STERN donated five translites, including an ACDC, Ripleys Believe it or Not, World Poker Tour, Monopoly and Roller Coaster Tycoon, as well as T-shirts to the event. STERN’s generosity supporting local events has been incredible this past year, with 5 translites for our ACDC launch party, ten(!) 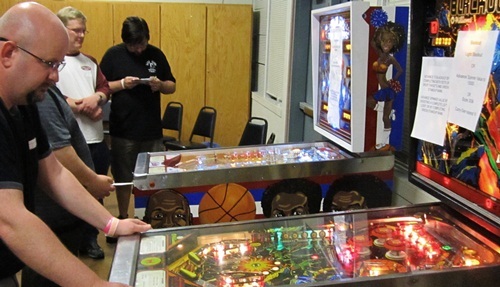 for our STERN Determination Tournament, and this latest five for Pin a Go Go! Big thanks! 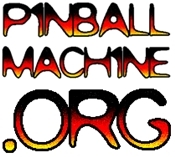 We also got great stuff from PPM, Playland not at the Beach and Pinball Video (The Pinball 101 guys). Danny Rockholt was the big surprise challenger in the Open. In finals, in his first tournament, he took 4th. Bob Matthews, always a class act of the tournament scene, took 3rd. Josh Warren is typically most often a threat on EMs and Solid-State games but he took his DMD vitamins this morning and pulled out a great performance to take 2nd place overall. Josh Lehan is a real stealth player. Using a minimum of fancy moves, but with astounding game knowledge, years of competitive experience, and that all-important “never gets rattled in pressure situations” factor, Josh navigated each level of Finals play to emerge on top. 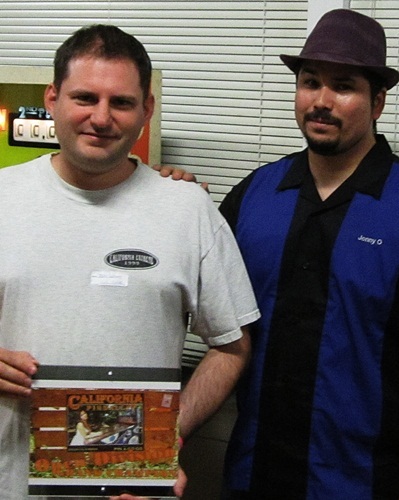 Josh took 2nd at last year’s Pin a Go Go. He came back to finish the job! As always it’s not possible to make events like this happen without a lot of help and coordination. 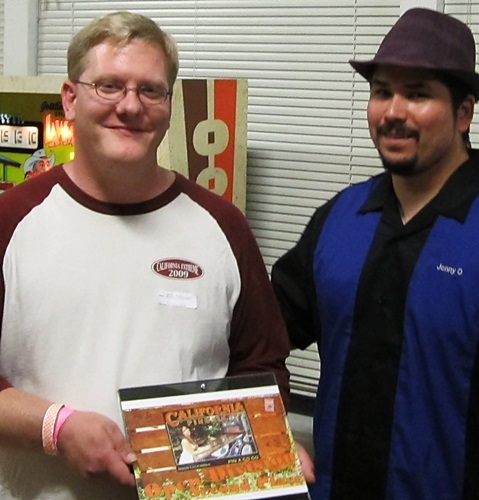 Big thanks to Damien, the founder of the Capitol Corridor pinball league, for all his help on Saturday running the event, as well as everyone else who helped with score entry, game tech, play testing and just helping us stay sane. And Jon – for yet another great tourney!